Best Books highlights the most influential, provocative, and inspirational books in my personal library. In 1974, I was an average student who plowed through assignments in school with stoic patience and an eye toward “getting into a good school.” Quite by accident I stumbled onto How to Read a Book, and at first thought it was a joke. I figured the topic could be covered in a page (“First, open the book. Second, read it. The End.”) and was a bit bemused by its 400+ page length. I leafed through its pages, and just about everywhere I stopped, something jumped out and caught my attention. I plunked down $1.95 (ah, the seventies, when books were cheap…), went home, and read it cover to cover in a couple of sittings. Literally, it changed my life. I went from being a reader to being a READER. Reading ceased to be something I could do and became something I couldn’t NOT do. I went from enjoying reading to loving reading. With the help of this book, I became a good reader. Rereading the book recently helped me realize just what an impact and impression it made on me in high school. I became a straight A student, with much less effort than I exerted to be an average (B/C student). I reread the book in seminary, and once more it helped me to be a better reader. The book is a very simple, straightforward, logical approach to the art and science of reading. It challenges the way most of us read, and gives insightful guidance into how to become more intentional and effective in reading proficiency. 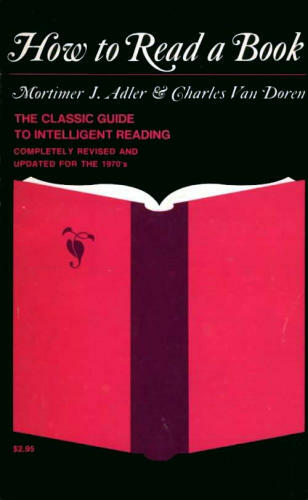 The book originally came out in 1940, but was updated and revised in 1972. I would love to see a 2014 revision in light of the technological advancements and the huge impact of the Internet and email on reading. But even for a 40-75 year old book, the instruction and wisdom is still valuable. The fundamental premise of the book is a need for “active reading,” a structured approach with protocols and questions to enhance the experience and deepen engagement. The challenge is made to “read over your head,” to select books that you will not easily comprehend or understand — books you will have to work at. Adler and Van Doren begin by defining four levels of reading: Elementary, Inspectional, Analytical, and Syntopical. These are holonic and sequential — each higher level is dependent upon and fully contains the prior levels. Until you are proficient at elementary reading, you will not be able to do inspectional reading. Inspectional reading prepares you for analytical reading. Syntopic reading requires and demands elementary, inspectional and analytical reading competency. Elementary reading is basic literacy. We recognize words, understand sentences, can follow the logic and progression of paragraphs and answer simple questions of “what does the author say?” and “what does the author mean?” and “do I understand and agree with/disagree with the major concepts?” An elementary reader can comprehend and describe or report what a book is about. This is what we teach children to do in elementary school. Inspectional reading is the ability to scan and process and gain meaning from the structure of a book. Examining the table of contents, chapter headings, introductory paragraphs, closing paragraphs and summaries, allows a reader to comprehend the structure of the book and enables the reader to construct a fairly concise outline of key points, relevant terms, central arguments, and critical propositions. It also allows the reader to identify words and concepts he or she doesn’t understand or fully comprehend. This process prepares a reader for a more thorough and intensive engagement with the material. (Or, it can help the reader determine what materials are not worth his or her time and effort). Analytical reading is a liminal process moving from information to meaning, from what an author is saying to what an author means. Analytical reading helps the reader enter into the mind of the author. In analytical reading, key terms, propositions, arguments, intentions and purposes are discovered that challenge the reader to critique and reflect. What point is the author trying to make? Does he/she make it well? What are the supporting facts and evidence. Is the author persuasive? Do I agree or not? Why do I agree/disagree? So what? If the author is correct (or incorrect), what difference does it make? What can I do with this information/knowledge? Analytical reading is demanding, hard work, but it is where the real value of reading (other than recreational reading, which can be done purely at the elementary level) occurs. But Adler and Van Doren bring syntopic reading within anyone’s grasp. They frame their thesis of good reading in four simple questions: 1) what is the book about as a whole? 2) what is being said in detail, and how? 3) is the book true, in whole or part? 4) what of it? (So what?) For non-fiction, these same four questions provide guidance at each level of complexity, and our answers reflect that complexity and our apprehension of it. How to Read a Book is an amazing exploration of that which we too often take for granted. Most people assume they are good, or at least competent, readers. Adler and Van Doren challenge this assumption, but more than that, they provide a useful tool for improvement. How many books have been written about teams? I would be surprised if there are fewer than 1,000 or even 2,000. For awhile in the 1990s, teams were the answer to everything. 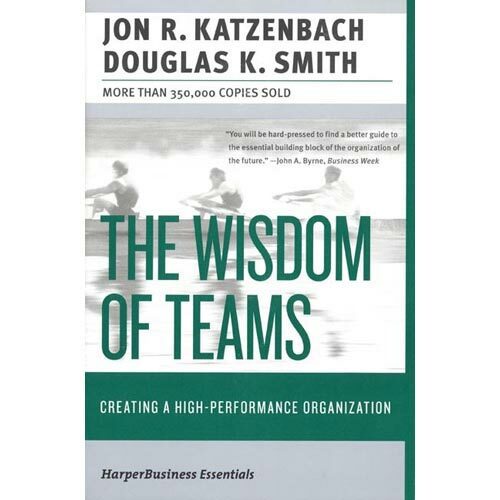 That’s when this book first appeared (1993) and it was a breath of fresh air then, and it remains my favorite book on teams to this day. For one thing, it offers one of the simplest, most-straightforward and useful definitions of a team I have encountered — “A team is a small number of people with complementary skills who are committed to a common purpose, performance goals, and approach for which they hold themselves mutually accountable.” (p. 45) Small number of people, complementary skills, common purpose, performance goals, agreed upon approach, mutual accountability — sublime. But this is just the basis for achieving “high performance.” The focus here is on quality outcomes. Teams are means to a variety of ends, but the ends define the teams. Good teams are designed. Good teams are improved. Good teams are the best possible form to meet very specific functions. Teams are not a universal palliative. They are one of many possible structures to achieve results. This book gives guidance and support for effective team design, team leadership, team development, team assessment and evaluation. It demystifies teams and makes them eminently practical. Grounded on solid research and practice of effective group dynamics, The Wisdom of Teams is an essential part of any church leader’s library, and will become an oft-returned-to reference book for many years to come. Both these books are creeping up on 25 years now, but they still stand as the best introduction to systems thinking and learning organizations I can think of (throw in Heifitz’s, Leadership Without Easy Answers, and you have a power trio!). To be brutally simplistic, most of us don’t know what we don’t know and we use very sloppy and inadequate means of processing what we see. A systems approach (to just about anything) broadens our horizons, reveals our assumptions, illuminates our wrong-thinking, and opens us to new possibilities — all incredibly important in church work where, “we’ve always done it that way” holds us forever stuck in place. 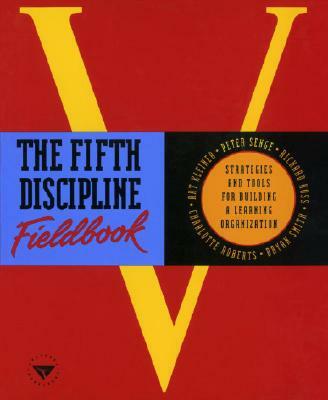 Additionally, The Fifth Discipline reminds us that leadership is a joint venture, and that in just about every case, all of us is superior to any one of us when it comes to creative solutions. Teamwork — true teamwork, not the prima donna, hot-shotting so evident in professional sports — is an essential key: we are all teachers and we are all students; we are all gifted; we are all motivated by different things; and, we each possess a unique worldview that allows us to add dimension to any shared vision we can imagine. The Fifth Discipline calls us to personal mastery as well as team learning — individually we become the best we can be, so that in our relationships we bring the best we have to offer (sounds Wesleyan, doesn’t it? Acts of personal piety AND the practice of the means of grace; individual & corporate). The section on mental models — how we construct reality and make it our own — is fabulous, and grants deep insight into our current culture wars, political miasma, and theological divides. The power of a shared vision to allow us to overcome our petty differences is inspired. All in all, these books area treasure-trove of both the concepts of systems thinking and team development, and the practical “how-tos” that people are so hungry for. Congregational leaders: get these books, read them, study them, digest them, then take the rest of your leaders on retreat to teach them what you learned. It is a wise investment of time and energy. communities focus on what they have, rather than what they lack — when we say we are too old, too tired, too small, not smart enough, not good enough, not prepared enough, not ready we make it so. It is impossible to create a future around what we lack and what we’re not! 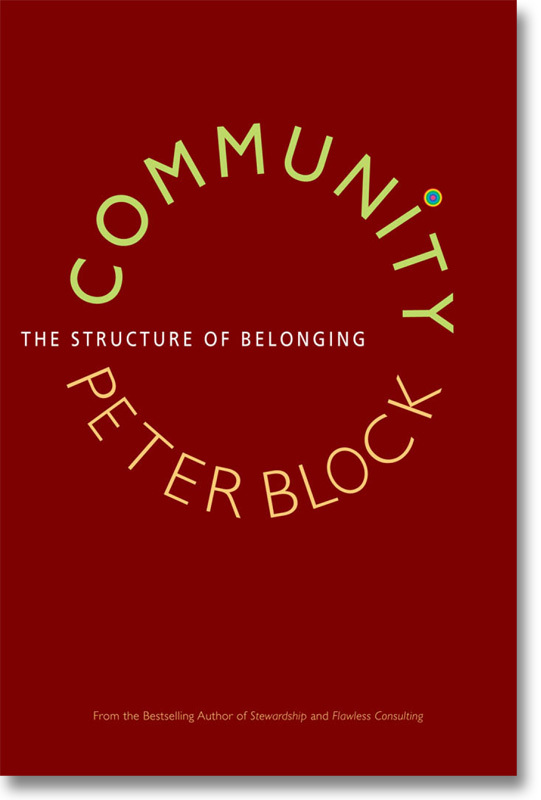 Peter Block’s, Community deserves the classification as a classic. It is a visionary book calling us to become what most of us truly want to be. It invites us to take responsibility for our own lives, but offers the blessings of ownership, comfort, security, meaning, possibility and a deep satisfaction that life is intended to be a blessing for everyone. Spend some time reading and discussing Community with the leaders in your congregation — it will help you become more than just a gathering of individuals. The term “classic” gets thrown around way too easily in our culture, but sometimes it truly applies. 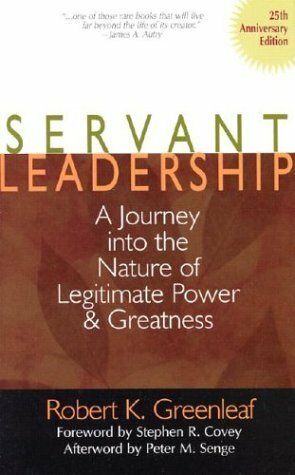 One book deserving of the title is Robert Greenleaf’s, Servant Leadership: A Journey Into the Nature of Legitimate Power and Greatness. I would recommend every pastor read this book and Edwin Friedman’s, Generation to Generation, every couple of years or so. The problem we face in American culture is the confusion of authority with force when it comes to power. True power requires no violence. Some of the most influential and transformative people in the world are some of the least physically imposing. Our confusion trades influence for pressure, authority for celebrity, and motivation for bullying. Greenleaf redefines the parameters of power and makes leadership a great and noble pursuit. Servant leadership is a brilliant oxymoron in our modern world. It is a bridge concept for Christians to the style and model of Jesus the Christ. It calls to mind Jesus washing the disciples feet. Even in such a setting, there was no doubt who was in charge. True servant leaders have nothing to prove. They navigate life with integrity, sense of purpose, commitment, and healthy self-esteem. They don’t do what they do for accolades or praise, but from a strong center. What they do is an authentic expression of who they are. I especially like the concept that the leader is “first among equals,” that we do not lead best from a privileged position, but from a place of honest authority. Leadership is not a role, but a function. Titles, offices, and job descriptions do not ultimately define leadership — outcomes and results do, including the health and quality of the relationships we have with subordinates. I have trained non-profit and for-profit Boards of Trustees and Directors for over 20 years. Much of what I teach comes from Greenleaf’s, “Trustees as Servants” chapter. This is brilliant on so many levels, and it recasts the role of trustee in such an important and transformative light. The section on “Servant Leadership in Churches” is short, but it builds upon the basic concepts throughout the rest of the book. This is an excellent book written in accessible form that has more basic common sense and rational instruction than any other ten books on leadership put together. They don’t get much better than this. There are – literally — thousands of books on planning, leadership, and effective organizations. Some are good, many not so good, but some are great. Consistently, if a book has Peter Drucker’s name on it, it belongs in the “great” category. The Five Most Important Questions You Will Ever Ask About Your Organization– first written in 1993, but re-released in 2008 with contributions from today’s top business minds, Jim Collins, Philip Kotler, James Kouzes, Judith Rodin, V. Kasturi Rangan, and Frances Hesselbein — is a profound, concise, and sublime handbook for leading an effective organization. With special emphasis on nonprofits, this is an ideal book for local congregations and annual conferences. These questions almost sound too simple to take seriously — until we realize that the vast majority of our churches cannot adequately answer them. While we have a denominational mission — “to make disciples of Jesus Christ for the transformation of the world” — most local congregations cannot clearly state their purpose, their reason for being. Oh, they might have answers, but they are generally unspecific and all over the map. Without a crystal clear sense of identity and purpose, it is almost impossible to create a plan for effectiveness — if you don’t know why you exist, you won’t know what you should be doing! The term “customers” creates all kinds of problems in the church — it sounds crass and commercial. But Drucker’s definition of a customer is “who must be satisfied for the organization to achieve results.” In our case, God is even our customer, not to mention the people in the pews, the people in our communities, and many people we may never directly meet. When we seek to provide ministries, we are offering services to help people grow in faith and strengthen their relationships with God and neighbor. Our primary customers are those who are serious about living as faithful Christian disciples. What our customers’ value is more than just what our customers prefer, like, want, or think they need. At the level of true value, it is what people are seeking to give their lives meaning and purpose. We’re not talking about worship styles, or pretty buildings with hi-tech equipment — we’re talking what we have to offer that can change lives, change hearts, and in some significant way, change the world. However, this is not what we decide for people — it is what we decide with people. When we have a clear mission and purpose, we listen to people’s hearts and deepest yearnings, and we find a way to give them what they need to become who God wants them to be. If we know who we are, and we are striving to give people what they need, it is imperative that we assess and evaluate how well what we produce creates the results we intend. Helping a person be a faithful Christian disciple won’t be simply measured by church membership or attendance, or how much a person plops in the collection plate on a Sunday morning. Qualitative measures must accompany the quantitative in order to truly understand how lives are changed. Unless we know how effective our current and ongoing efforts are, we cannot strategize ways to improve. We don’t know what to keep doing, what to abandon, what to add, or what to change. Critical evaluation of results is essential — and unfortunately, it is what most local churches and annual conferences do poorly or neglect entirely. Answering the question, “what is our plan?” is important, but it should not consume all of our time. A good plan is not something written on paper and followed to the letter of the law. A good plan is flexible and dynamic, providing principles and boundaries, easy to adjust, and constantly being improved. Clear goals and objectives (Drucker says, “If you have more than five goals, you have none.”) provide the targets toward which we work. If goals and objectives support the mission and enable us to give the customers what they need, then every tactical decision we make should somehow align with them. Any church organization that intentionally and conscientiously asks and explores these five questions (and the dozens of correlating questions bound to emerge naturally, as well as they suggested supplemental questions from the book) will find great benefit and potent guidance for the future. Simple doesn’t mean easy — there is nothing easy about the five most important questions — but it does mean that any organization from the smallest to the largest can pick up this helpful book and begin immediately to transform its work for the better. There are very few books that I place on a “absolutely must have” list for pastors, but this one is high on the list. Any pastor who has to deal with people, needs this book. It offers more helpful information about communication, conflict resolution, relationship management, and family systems dynamics than any other ten books put together. Freidman does a brilliant job identifying root causes of the most basic conflicts within any church. He walks through the basics (and some advanced theories) of family systems theory, then persuasively shows how congregations are family systems. His illustrations are very accessible. Any pastor will relate to the stories he tells. With the turn of every page, congregational leaders will identify and understand what is happening in their local church. Even if the book contained nothing more than the description and explanation of triangulation (where no disagreement between two people is ever only between two people because of the other relationships and experiences we bring with us) it would be well worth it. People are funny, unique, and often bizarre, but they are all fundamentally the same, and the better we understand the basics, the better we can lead. Healthy congregations are built on healthy relationships. Understanding what constitutes a healthy relationship is the first step to creating an environment that truly nurtures the best that people can achieve. Freidman offers some of the most insightful, helpful, and practical guidance to understanding what works, and what doesn’t (and what we can do about it, when we fail). This is a must read — for clergy and laity that want the church to be a center of grace, kindness, and respect. There are few works of fiction that draw me back again and again, but the Port William fiction of Wendell Berry is like a childhood friend — I am delighted every time I visit. Nathan Coulterlaunched the Port William universe back in 1960, and I read it first when I was twelve years old. I remember lying in a hammock at my grandmother’s farm after morning chores, reading the book straight through from cover to cover. I begged my grandmother to take me back to the bookstore in town to see if I could find anything else by Wendell Berry. That was when I found A Place on Earth — a book that surpassed the original as my favorite and made me a lifelong Berry fan. Both books reveal a world of joy and sorrow, hope and despair, faith and doubt, family and loss of same. Through the eyes of young Nathan, a country boy tries to make sense of growing up — losing his mother, being rejected by his father, making a home with grandparents, being left behind by an older brother, and finding deep connection with a lazy uncle. Nathan learns all about life — the good, the bad, and the ugly. The book is a series of vignettes about both the harshness and the beauty of real life. A handful of residents of Port William, Kentucky deal with love, loss, life, redemption and meaning in A Place on Earth. The book examines how the community struggles to find its way back to normal in the closing days of World War II. The town of Port William serves as a character itself throughout the book — different people relate to their particular “place on earth” in remarkably different ways. Both books — and the many wonderful Port William titles to follow — present simple people from simpler times in a simple place dealing with the same vast complexities of life that we all do. There is not a false character in the lot, and each has a poignant dignity. They are simple, but not stupid; coarse, but not crude; often rough, but rarely mean — in short, they are not the rube caricatures so often painted of people who work the land. Elegantly and subtly woven into each story are the truly huge issues of life — meaning, purpose, responsibility, respect, trust, integrity, honor, loyalty, and courage. Berry’s books are books of faith. They evoke the best of the gospel parables — down-to-earth stories with multiple layers of meaning that help us better understand what life is all about. I have been asked, “What one book would you recommend that all Christian leaders read?” My glib, yet serious, answer is always, “The Bible,” but if I were to continue with a top five, Philip Jenkins’, The New Faces of Christianity, would be on the list. Anyone who cares about the faith, the future, and the revealed kingdom (realm) of God should consider this book. Essentially, it is a compelling argument for a global and monumental shift that will occur within the next thirty years or so. By mid-twenty-first century, the gravitational center of Christianity will move from the Northern to the Southern hemisphere. Along with it, progressive, liberal, individualistic, and materialistic spiritual movements will sink to minority status. A more literal reading of scripture, a stringent belief in spiritual warfare and angelic/demonic intervention, and a fundamental adherence to spiritual healing are just a few of the attitudes and practices often labeled “pre-modern” or primitive by modern U.S. standards. The authority of scripture is a make-or-break issue between North and South. In the global South oral traditions are more widespread and influential than print, and people listen to scripture for detailed instructions for daily living. Existence is a life-and-death issue in much of the global South, so the stories from the Hebrew scriptures and the gospels have an immediacy to them not known since the first centuries of the Christian movement. The “Old Testament” is taken much more to heart in Africa and Asia than in the U.S.
Few citizens in the U.S. can even imagine what the majorities in South and Central America, Africa, Asia, and the Middle East cope with on a “normal” basis. Widespread poverty, famine, disease, and lack of clean water are the least of the concerns. Ethnic cleansing and tribal rivalries, outright war, slavery, prostitution, drug related violence, and exile/displacement are issues that affect almost every family in the global South. The meaning of such Biblical concepts as salvation, blessing, redemption, miralces, jubilee, spiritual healing, living water, and many more are truly matters of life and death. Justice and power are two key concepts that drive the Christian faith in the global South. The people cry out for justice — not vengeance, per se, but a balancing of scales, a fairness that will allow all to live happily as God’s people. They look to the power of God to defeat the powers of this earth. They look for power over disease, over death, over fear, and over a pervasive cloud of despair. While Western biblical scholars debate the authority of scripture and the validity of liberation theology, the global South continues to forge a new theological frontier — one that is fundamentally and radically different from anything we’ve known in the United States. The “new” faces of Christianity do not resemble the “current” faces very closely. As African Methodist Bishop Debale said, “You cannot simply plant the sapling of Western Christianity in African soil.” Different soil, different context. Different past, different future. Every Christian leader in the United States will benefit by reading, studying and discussing Philip Jenkins’, The New Faces of Christianity. It tells a fascinating story of the church being birthed at this very moment. The above quote — delivered on September 11th — is not in memory of the World Trade Center and Pentagon attacks. It was delivered 108 years prior to the terrorist attacks on the United States, by an Indian Hindu, Swami Vivekananda, at the World Parliament of Religions in 1893. On that September 11th morning the world was shaken in a positive way by a man who believed that the divine spark infused all of life and every major belief. He spoke of a world reformed into a sane, just, kind, and peaceful by the best that every religion had to offer. This anecdote appears in Gustav Niebuhr’s, Beyond Tolerance: Searching for Interfaith Understanding in America.Niebuhr (grandson of H. Richard and great nephew of Reinhold) presents a compelling argument for the need to get along. And not just be nice to each other, but to forge integral relationships of respect, mutual support, understanding, and collaboration. Talk is not enough. It is time to become a united force for good. In a day when the popular mass media so significantly shapes public opinion, the power to communicate a meaningful message is often taken away from the very people who own the message. The perception of many Americans concerning Islam is that it is a faith of dangerous fanatics, bent on throwing the world back into the dark ages. Ululating, suicide-bent extremists comprise an incredibly tiny segment of the 1.2 billion Muslims worldwide, yet this portrait appears daily in newspapers and magazines, on television, and the Internet. Fundamentalist Christians screaming hatred of homosexuals, bombing abortion clinics, and decrying the decay of family values are an embarrassing lunatic fringe of the 2 billion Christians around the globe, but they command an inordinate amount of air time. Religious extremists are just that: extreme — they exist outside the bounds of normalcy and they should not define religion (no matter what pop-atheists Christopher Hitchens and Richard Dawkins might wish to pretend). Niebuhr’s book calls for a simple, but significant shift in our view of world religions: stop focusing on what makes us different and begin building partnerships around what makes us one. Instead of wasting all of our time, energy, effort, and resources on building barriers, we could actually transform the world by tearing down the barriers and pooling our resources — both spiritual and material — to model what we say is most important to us: love, mercy, justice, peace, harmony, kindness, caring, equality, and hope. This is not a call to deny our diversity, but to rise above our differences. It is not an attempt to water down our core identities as people of faith, but to honor our distinctiveness while creating synergy. The point is not to make everyone the same, but to honor the best in what makes us each unique. Beyond Tolerance is filled with wonderful, hopeful stories where interfaith dialogue and collaboration are transforming communities and individual lives. The essential message of the book – that we are stronger, better, and healthier together than we are apart – is emphasized in every chapter. There is absolutely no reason why the natural state of religions with very different “truth” narratives must be division, contention, violence, and hatred. Those who hold different beliefs are no threat to anyone who is confident in her or his own faith. Cooperating with non-Christians in no way undermines the validity or value of Christianity. Getting along is not going to be enough as we live into the complexities of a truly global community. We cannot merely tolerate one another — we must accept, honor, respect, and encourage one another. The key, according to Niebuhr, is to seek understanding, not agreement. Understanding another worldview, belief system, or value set moves us away from the abstract to the concrete. It is possible to form a stereotype and prejudice about “Jews,” but when we meet Jewish individuals and seek to understand what they believe, why they believe what they do, what their practices look like, what their driving values are, and how they attempt to create meaning and purpose in their lives, our stereotypes crumble and our bigotry becomes ridiculous. Living in the 21st century southern United States has been an education, and well illustrates the point. Many southerners still have very strong negative feelings about “blacks,” but have very powerful, loving, and long-term relationships with individual African Americans. Include these individuals in the stereotypes espoused, and the people who still hold these biases would react with shock and anger. Prejudices can only exist in the abstract; real people tend to challenge and destroy sweeping generalizations. To know real people is to understand real beliefs, attitudes, and practices. Understanding is the key to healthy relationships. Beyond Toleranceis not a prescription — Niebuhr doesn’t really explain how we forge these new relationships beyond saying “do it.” The idea of friendly interreligious dialogue is much easier than the act of holding interreligious dialogue. But moving from thinking about it to actually inviting others into conversation is the critical tipping point. A new way of being together will not happen unless we create opportunities to break down the walls and barriers that divide us. To seek to understand is the first step. The second — huge and scary — step is to reach out to another and say, “Help me to understand.” The third step is to continue to invite others to the conversation. Indeed, interfaith dialogue, understanding, and collaboration may not yet be a movement, but it is a movement in potentia, a movement just waiting to happen. Thank you for recommending Friedman’s ground-breaking book. It boggles the mind why this is not required in the seminary. As a former DS, I cannot tell you how many times I recommended this book, and even pulled clergy aside to drink coffee long enough to explain triangles, herding, pursuit behavior–and yes–how their anxiety contributed to their situation. I would also recommend the book that his estate put out after his death, “A Failure of Nerve.” The theme is leadership in the age of the quick-fix, and it is a valuable tool. I faxed my request to: 301-229-4305. At any rate, I believe that outside of scripture, these two books have effected me more than any other across 24 years of practicing the art of ministry. Thanks for recommending something to increase our maturity and health. Considering your comments regarding the church 30 years from now as described in New Faces of Christianity: Believing the Bible in the Global South by Philip Jenkins, what do you think this will mean in terms of liturgy and sacraments? What an incredibly interesting question! I’m not sure I know the answer, but I am wondering if we won’t see a new hybrid — Batholics. There is a strong commitment to adult baptism tied to personal confession and profession in many areas of South America and Africa. There is also a very basic — almost premodern — belief in the supernatural and the more magical aspects of the faith — transmogrification and transubstantiation among them. There is power in words/incantations, in spiritual protection, and in the efficacy of ritual. I’m not nearly informed enough to offer an intelligent answer — I’m swinging in the dark here — but I hope others better informed will enter the conversation. Thanks for pushing me to think about this.